100% paid respects to their late leader Minwoo. Minwoo passed away from cardiac arrest on March 25th. The group had decided to continue on with their Japanese concert, and they had a special part in their concert dedicated to their leader. Hyukjin said, "We are 4 now, but I want to think like we are doing this concert with Minwoo-hyung. If you see the stage, we have 5 mics." Chanyong said, "We want to look at this with all of you while we have this stage." Rokhyun added, "It's our, your, and Minwoo-hyung's memories." 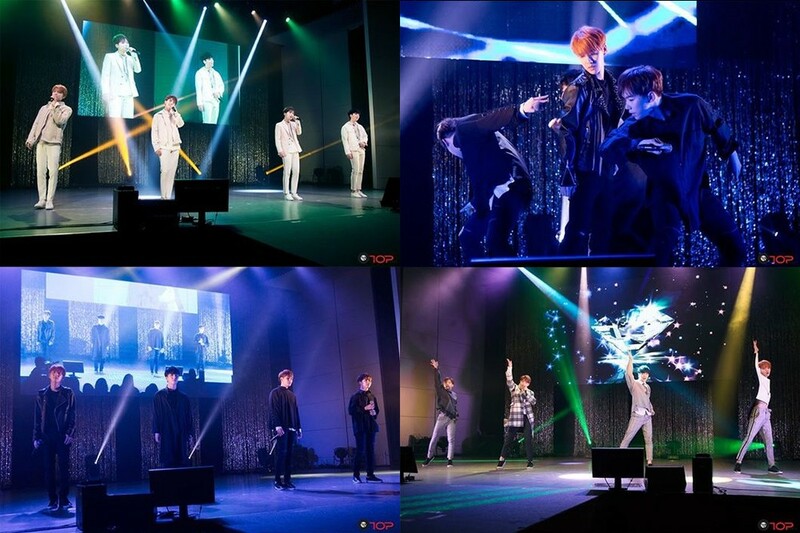 100% sang "Monochrome" for Minwoo, and also performed "Cherry", which was originally supposed to be Minwoo's solo song.